" 10 Sq. R. A. F. | 1 " 10 Sq. R. F. C. | 1 " 10th Gurkha Rifles (I.A.) | 1 " 11th Lancers (I. A.) | 1 " 12 Sq. R. F. C. | 1 " 12th Cavalry (I.A.) | 1 " 13th Hussars | 1 " 13th Res' Regt. Cavalry | 1 " 14th Lancers | 1 " 16 Sq. R.A.F. | 1 " 2 FTS RAF | 1 " 2 Sq. R. F. C. | 1 " 20th Hussars | 2 " 211 Sq. R. A. F. | 1 " 21st Lancers | 1 " 24th Punjabis (I.A.) | 1 " 27th Punjabis Inf. (I. A.) | 1 " 28th Light Cavalry (I.A.) | 1 " 33rd Punjabis (I.A.) | 1 " 39th Garhwal Rifles (I.A.) | 1 " 40 Sq. R. F. C. | 1 " 41 Sq. R. F. C. | 1 " 43 Erinpura Regt. (I.A.) | 1 " 47th Sikhs (I.A.) | 1 " 49 Sq. R. A. F. | 1 " 4th Gurkhas (I.A.) | 1 " 53rd Sikhs (I.A.) | 1 " 59 Sq. R. F. C. | 1 " 5th Lancers | 1 " 60 Sq. R. F. C. | 1 " 62 Sq. R. A. F. | 1 " 66 Sq. R. F. C. | 1 " 67th Punjabis (I.A.) | 1 " 70 Sq. R. F. C. | 1 " 82nd Punjabis (I.A.) | 1 " 83 Sq. R. A. F. | 1 " 84th Punjabis (I.A.) | 1 " Army Service Corps | 7 " Australian Imp. Inf. | 1 " Australian Infantry | 3 " Ayrshire Yeomanry | 1 " Bedfordshire Regt. | 4 " Black Watch | 2 " Border Regt. | 4 " Cameron Highlanders | 1 " Canadian Inf. | 11 " Canadian Trench Mortar Battery | 1 " Chaplains Dept. | 1 " Cheshire Regt. | 4 " Church Army Huts | 1 " Coldstream Guards | 1 " Connaught Rangers | 1 " Devon Regt. | 2 " Dorset Yeomanry | 1 " Dragoon Guards | 1 " Duke of Cornwall's Light Inf. | 4 " Durham Light Inf. | 4 " East Kent Regt. (The Buffs) | 11 " East Kent Yeomanry | 1 " East Lancashire Regt. | 3 " East Surrey Regt. | 3 " East Yorkshire Regt. | 9 " Essex Regt. | 4 " Essex Yeomanry | 1 " Gloucestershire Regt. | 4 " Gordon Highlanders | 3 " Grenadier Guards | 1 " H. M. S. Aboukir | 1 " H. M. S. Argus | 1 " H. M. S. Good Hope | 1 " H. M. S. Phoebe | 1 " H. M. S. President | 1 " H. M. S. Topaze | 1 " H. M. S. Viknor | 1 " Hampshire Regt. | 4 " Hampshire Regt. / RFC | 1 " Herefordshire Regt. | 3 " Highland Light Infantry | 3 " Honourable Artillery Company | 2 " I. A. att Welch Regt. | 1 " Indian Army | 3 " Indian Medical Service | 1 " Irish Guards | 1 " Irish Horse & R. F. C. | 1 " King Edward's Horse | 2 " Kings African Rifles | 1 " Kings Own Scottish Borderers | 1 " Kings Own Yorkshire Light Infantry | 3 " Kings Royal Rifle Corps. | 7 " Lancashire Fusiliers | 7 " Leicestershire Regt. | 6 " Life Guards | 1 " Lincolnshire Regt. | 2 " Liverpool Regt. | 6 " London Regt. | 2 " London Scottish Regt. | 2 " Machine Gun Corps | 2 " Manchester Regt. | 2 " Middlesex Regt. | 8 " New Zealand Inf. | 1 " North Lancashire Regt. | 5 " Northamptonshire Regt. | 4 " Northumberland Fus. | 7 " Notts' Yeomanry / RFC | 1 " O. T. C. | 1 " Ox & Bucks Light Inf. | 3 " Punjabis (I.A.) | 1 " Queen's Own Oxford Hussars | 1 " Queen's Westminster Rifles | 1 " Recruiting Officer | 1 " Rifle Brigade | 2 " Royal Air Force | 5 Royal Army Medical Corps | 1 " Royal Berks' Regt. | 1 " Royal Dublin Fusiliers | 3 " Royal Engineers | 13 " Royal Engineers and Sq Cmdr RFC | 1 " Royal Field Artillery | 26 " Royal Field Artillery / R. F. C. | 1 " Royal Flying Corps | 5 " Royal Fusiliers | 11 " Royal Garrison Artillery | 15 " Royal Horse Artillery | 2 " Royal Inniskilling Fusiliers | 2 " Royal Irish Fusiliers | 1 " Royal Irish Regt. | 2 " Royal Irish Rifles | 1 " Royal Lancaster Regt. | 7 " Royal Marines Light Infantry | 2 " Royal Munster Fusiliers | 1 " Royal Naval Air Service | 1 " Royal Naval Air Service Manston | 1 " Royal Naval Volunteer Reserve | 3 " Royal Scots | 5 " Royal Scots Fusiliers | 1 " Royal Sussex Regt. | 2 " Royal Warwickshire Regt. | 6 " Royal Warwickshire Regt. Att Lan Regt | 1 " Royal Welch Fus. | 6 " Royal West Kent Regt. | 5 " Royal West Surrey Regt. | 3 " Scottish Rifles | 2 " Seaforth Highlanders | 5 " Sherwood Foresters | 5 " Shropshire Light Inf. | 5 " Somerset Light Inf. | 6 " Somerset Yeomanry | 1 " South African Horse | 1 " South African Inf. | 1 " South Staffordshire Regt. | 8 " South Wales Borderers | 4 " Suffolk Regt. | 2 " The Queens Regt. | 1 " Warwickshire Yeomanry | 1 " Welch Fusiliers | 1 " Welch Regt. | 6 " Welsh Guards | 1 " West Kent Regt. | 2 " West Riding Regt. | 5 " West Yorkshire Regt. | 5 " Wiltshire Regt. | 4 " Worcester Yeomanry | 1 " Worcestershire Regt. | 12 " York and Lancaster Regt. | 2 " Yorkshire Regt. | 4 "
House: Sch, 1892 - 1893. Regiment: Royal Air Force. Died: 07 December 1918 aged 41 in United Kingdom. Died after aeroplane accident. Son of Captain H. F. D. Barclay, Weston-super-Mare. b. 1877. Great War, and Lieutenant Somerset L.I. 1914; Captain R.A.F. House: No 3, 1910 - 1914. Regiment: Royal Air Force. Died: 27 January 1919 aged 24 in United Kingdom. Killed flying. Son of John and Mary Barstow, The Lodge, Weston-super-Mare. b. 1895. Upper IV B�Matriculation Class. School Prefect. Head of House. XI Cricket; XI Football; Fives Pair; Gymnasium IV. Great War, Private N. Somerset Yeomanry 1914; Lieutenant R.A.F. Eric Jackson-Bristow RAF who was killed while flying near Caterham in Surrey on January 27 aged 23 was the only son of Mr J. J. Jackson-Barstow and Mrs Jackson-Barstow of "The Lodge" Weston-Super-Mare. At the age of 19 Captain Barstow enlisted in the North Somerset Yeomanry in Bath and took part in the battle of November 17th 1914 outside Ypres in which a number were killed, and Barstow was wounded. He was given a commission after a few weeks sick leave, and was appointed ADC to General Lee, serving on the East Coast. 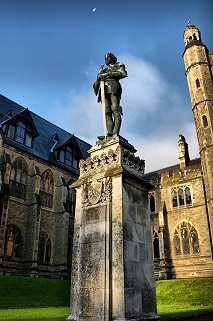 When thoroughly restored to health he applied for a transfer to the Royal Air Force. He gained his "wings" in 1917, and had since been flying regularly in France and Germany. He was making for Kenley Aerodrome when a heavy snow storm came on and in endeavouring to land he crashed into a bank in Marden Park." House: No 2, 1911 - 1913. Regiment: Royal Air Force. Died: 19 June 1919 aged 22 in Israel. Drowned near Jaffa. Cemetery: Ramleh War Cemetery EE. 37. Son of Colonel Lyster-Smythe, Barbavilla, Collinstown. b. 1897. Great War, 2nd Lieutenant 3rd Bn Gordon Highlanders; Captain R.A.F. 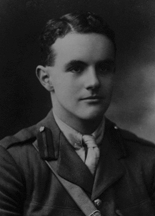 'A keenness for all things engineering, and a thoroughly fearless disposition, marked him out for the Flying Corps. At first, however, he obtained a commission in the Gordon Highlanders, transferring later to the R.A.F., where he took part in the Palestine campaign and rose to the rank of Flight Commander. He was drowned, whilst bathing, at Jaffa, on June 19th.' (Malvernian, Dec 1919). He was drowned while bathing at Jaffa. House: No 9, 1912 - 1916. Regiment: Royal Air Force. Died: 13 July 1918 aged 21 in United Kingdom. Killed flying. Son of G. F. Simms, Farlands, Stourbridge, b. 1897. Modern III�Matriculation Form. House Prefect. Gymnasium IV. 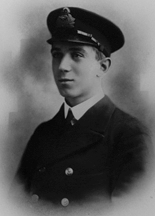 Flight Sub-Lieutenant R.N. 1916; Captain R.A.F. 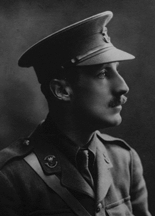 'In June 1916 Leslie Simms received a commission in the R.N.A.F., and in the following year was awarded the D.S.C. for valuable services in home waters. He became Flight Lieutenant and an Instructor. Later he was transferred to the Experimental Construction Department. At the time of his death he was expecting orders to proceed to the front. He had repeatedly applied to be sent overseas, but his services were required at home. He was killed while flying on July 14th. 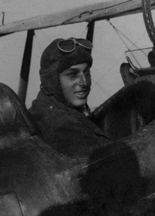 The keenness, splendid nerves, and absence of fear, which he proved himself to possess throughout his School career marked him out for the Air Service. 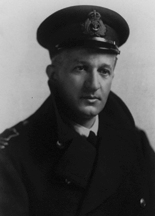 He became a keen and daring officer, and was regarded as a Flying Officer who was likely to make a name. Many will grieve for the loss of a true friend and brave man.' (Malvernian, Nov 1918).